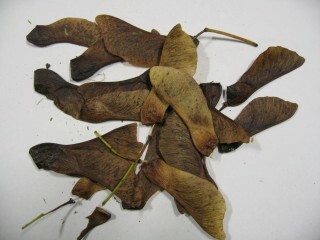 Atypical myopathy (“Sycamore poisoning”) is a potentially fatal disease of horses in the UK and Northern Europe caused by eating Sycamore seeds (“helicopters”) or possibly leaves. The disease results in muscle damage and particularly affects the muscles that enable the horse to stand, the muscles that allow breathing and the heart muscle. As a result, horses can display a range of signs but typically become very dull, weak, tremble, show signs of pain may be unable to lift their heads or even remain standing. Even with intensive veterinary treatment, severely affected horses often die. However, with prompt treatment cases can recover very quickly so IF YOU THINK YOUR HORSE MAY BE SHOWING SIGNS OF ATYPICAL MYOPATHY PLEASE CONTACT YOUR VET IMMEDIATELY. What are the signs of Atypical Myopathy? Horses suffering from atypical myopathy have high levels of a toxincalled hypoglycin A that prevents energy being produced within their muscle cells.The toxin is found within Sycamore (the European sycamore, Acer pseudoplatanus)seeds and to a lesser extent in their leaves and it is therefore assumed that the disease is caused by horses eating Sycamore seeds. The disease is more common in the autumn (typically around October) and often occurs as an outbreak when large numbers of seeds are falling. Bad weather also seems to trigger the disease. The amount of toxin within seeds is variable and it is not understood why some seeds have more toxin than others nor is it understood how many seeds have to be eaten for a horse to become sick. It is likely that some horses will be more susceptible than others and as older horses are less likely to become affected it may be that they develop some tolerance to the toxin. Individual grazing habits and the condition of the pasture are also likely to determine why some horses become sick and others don’t. Smaller disease outbreaks also occur in the spring and it is speculated that this is because horses eat Sycamore seedlings which may also contain the toxin; however this is unproven as it has not been determined whether the toxin is present within seedlings. How can I confirm whether my horse has atypical myopathy? Vets may suspect a diagnosis of atypical myopathy on the basis of their clinical examination and the horse’s recent grazing history. The presence of muscle damage can be confirmed by measuring levels of enzymes (such as creatine kinase or CK) in the blood that are released from damaged muscle cells. Very early sampling might not show the extent of the damage as it takes a number of hours for levels to peak. One of the most reliable signs is the presence of red or brown urine. There are very few diseases that will cause this to occur and if a horse has signs of atypical myopathy, and has been grazing near Sycamore trees, then the presence of red/brown urine is as good as proof that the horse has the disease. The dark colour is caused by the presence of muscle pigment (myoglobin) which is released from damaged muscle cells into the blood and is then removed by the kidneys. What can be done to treat atypical myopathy? IT IS A COMMON MISCONCEPTION THAT THE DISEASE ALWAYS RESULTS IN DEATH. HOWEVER, THE CHANCES OF SURVIVAL ARE 50:50 AT BEST SO IT IS VITALLY IMPORTANT THAT TREATMENT IS THOROUGH AND STARTS IMMEDIATELY. HORSES OFTEN GET WORSE FOR 24-48 HOURS BEFORE THEY START TO IMPROVE SO EVEN IF THE SIGNS ARE MILD TRANSPORT TO A HOSPITAL SHOULD BE CONSIDERED WHILST IT IS POSSIBLE. In order to protect the kidneys from damage large quantities of fluids have to be given and for this to be achieved effectively hospitalisation is required. Fluids are also important because horses with atypical myopathy tend to become very dehydrated. Effective fluid therapy requires 24/7 nursing care. Atypical myopathy cases often become exceedingly painful and within a hospital it is possible to give infusions of powerful painkillers and anaesthetic drugs which cannot reasonably be administered anywhere else. Supplementary vitamins and minerals have been shown in one study to be helpful in the treatment of atypical myopathy. In particular, carnitine, vitamin B1 and vitamin B2 might support the function of muscle cells. Vitamins C and E might be useful as anti-oxidants. Reported mortality rates of clinical cases have ranged from 40% to 100% and vary from year to year. Most affected horses that are alive 5 days after the start of clinical signs are likely to recover. Initially recovery is slow, but most affected horses that recover go on to make a complete recovery and return to work with no long-term effects of the disease. How can I prevent atypical myopathy in my horses? Currently, Sycamore seeds and to a lesser extent leaves, are the only known source of the toxin that causes the disease; however it remains possible that the toxin may be found elsewhere. 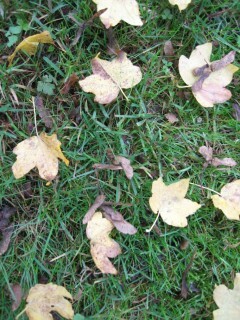 To our knowledge, every UK case has been linked with the European Sycamore. There is often concern over other members of the Acer family. Although thorough investigations of all tree species have not been performed, it appears as though some other North American and Japanese Acers (or Maples) that are grown as garden trees and shrubs can produce the toxin; however Acer Campestre or the “Field Maple” which is common in hedgerows does not appear to produce the toxin. When a case is seen or suspected, then field mates should be removed from the pasture and blood tested to see whether they too have muscle damage and could be developing the disease. Provision of antioxidants, B vitamins and amino acid supplements may be worthwhile in these cases.Unfortunately outbreaks of disease are common. If you would like further advice on reducing the risk of your horse contracting atypical myopathy, please contact your vet. Further information can also be obtained from this excellent website: Atypical Myopathy Alert Group: http://www.myopathieatypique.fr/en/la-maladie/. We would also urge you to report any cases of atypical myopathy via the website; with a greater understanding of where and when the disease is occurring we can hopefully work towards more effective prevention and treatment in the future.